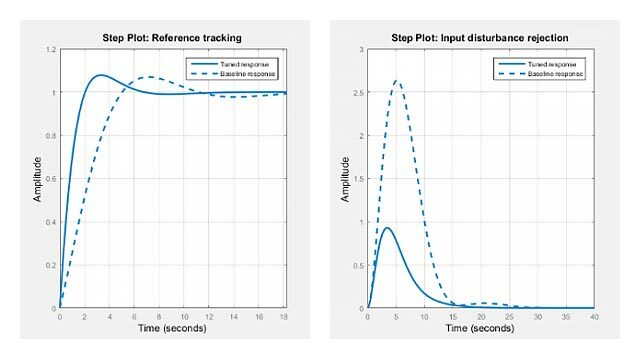 h = hsvplot(sys) plots the Hankel singular values of an LTI system sys and returns the plot handle h. You can use this handle to customize the plot with the getoptions and setoptions commands. See hsvoptions for a list of some available plot options. hsvplot(sys) plots the Hankel singular values of the LTI model sys. 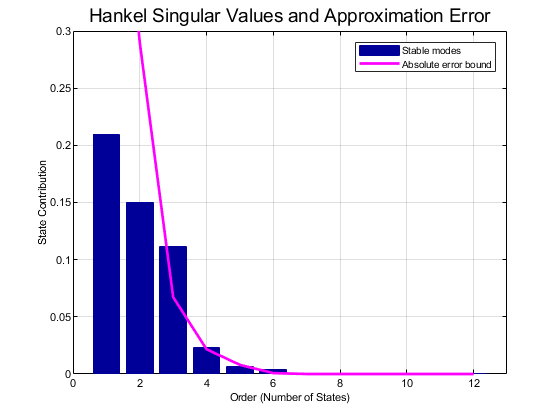 See hsvd for details on the meaning and purpose of Hankel singular values. The Hankel singular values for the stable and unstable modes of sys are shown in blue and red, respectively. 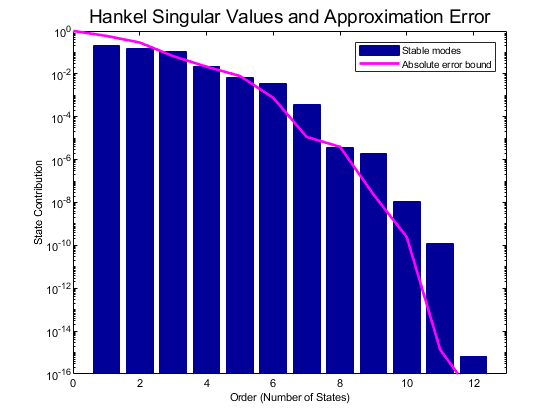 hsvplot(sys, AbsTol',ATOL,'RelTol',RTOL,'Offset',ALPHA) specifies additional options for computing the Hankel singular values. hsvplot(AX,sys,...) attaches the plot to the axes with handle AX.